Dance Classes, Lessons, Events & Courses for SalsaIreland. Come along and enjoy learning to dance & make new friends in a fun and friendly environment at SalsaIreland's Salsa Classes. We aim to teach a high standard of dance, not a large number of steps that are performed to an indifferent standard or forgotten by the following week. Our tuition is structured in a way to ensure that lessons compliment each other. Also by learning to focus more on leading or following you will be more confident and relaxed when out dancing at social events. Event Organiser, DJ & Disco, Regular Dance Classes, Performances, Corporate Entertainment, Weddings. Dance Styles: Latin American, Salsa Dance, Merengue, Cha-Cha, Jive, Rueda, Bachata, Kizomba. Tango (Argentine), Salsa, Rock 'n' Roll, Waltz, East Coast Swing, Cha-Cha, Foxtrot, Rumba, Quickstep, Tango Instruction, Practice, Social Dancing. Admission £6.00. Entrance: via Stage Door on Albion Lane. [Couples/Dance Partners Only]. Please see http://www.salsaireland.co.uk/lessons.php for our tuition schedule. Tango (Argentine), Salsa, Rock 'n' Roll, Merengue, East Coast Swing, Cha-Cha, Rumba, Jive, Rueda, Bachata, Kizomba Instruction, Practice, Social Dancing. Admission £6.00. [No Partner Required]. Please see http://www.salsaireland.co.uk/lessons.php for our tuition schedule. Rock 'n' Roll, Waltz, East Coast Swing, Cha-Cha, Foxtrot, Rumba, Tango (Ballroom), Quickstep, Jive Instruction, Practice, Social Dancing. Admission £6.00. [No Partner Required]. 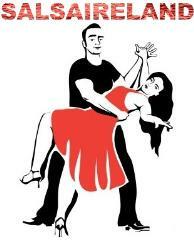 Please see http://www.salsaireland.co.uk/lessons.php for our tuition schedule.